Abstract: The payload-to-weight ratio is one of the most important metrics when designing robotic wrists. A solution to maximize it and to reduce the share of the motive power required to drive the robot’s links is to employ parallel kinematic mechanisms (PKMs). Indeed PKMs allow relocating distal masses closer to the robot’s base actually increasing the overall payload. On the other hand, PKMs are often characterized by limited ranges of motion (ROM) and non-uniform motion in their workspace. In this article, we considered a class of 2-DOF spherical six-bar mechanisms. We first developed the kinematic model of the system. We then tackled both the workspace limitation and uniformity issues with a numerical optimization approach. Differential evolution (a multi-objective, multivariate, gradient-free optimization method) was applied to the model of the system to explore a large space of parameter combinations. The optimization algorithm allowed obtaining an almost uniform and large ROM (exceeding 50° on both axes). 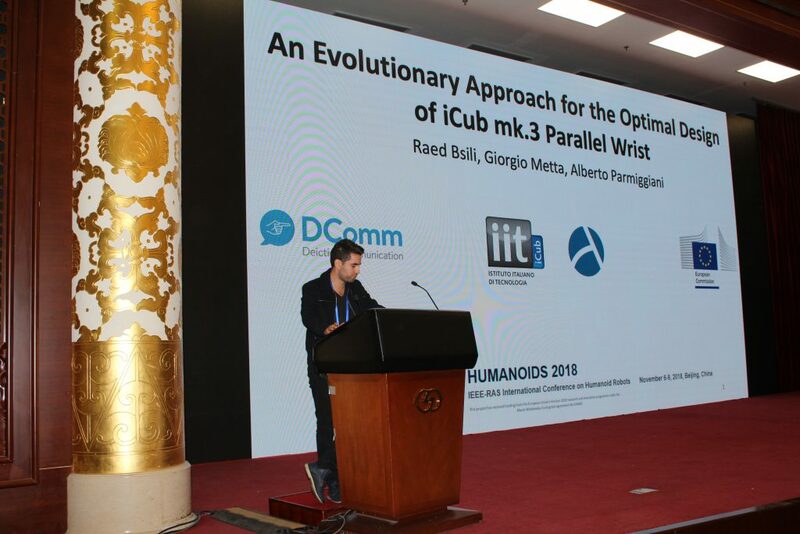 We then proceeded with the detailed design of the joint as we envision integrating it on the future releases of the iCub robot forearm-hand assemblies.